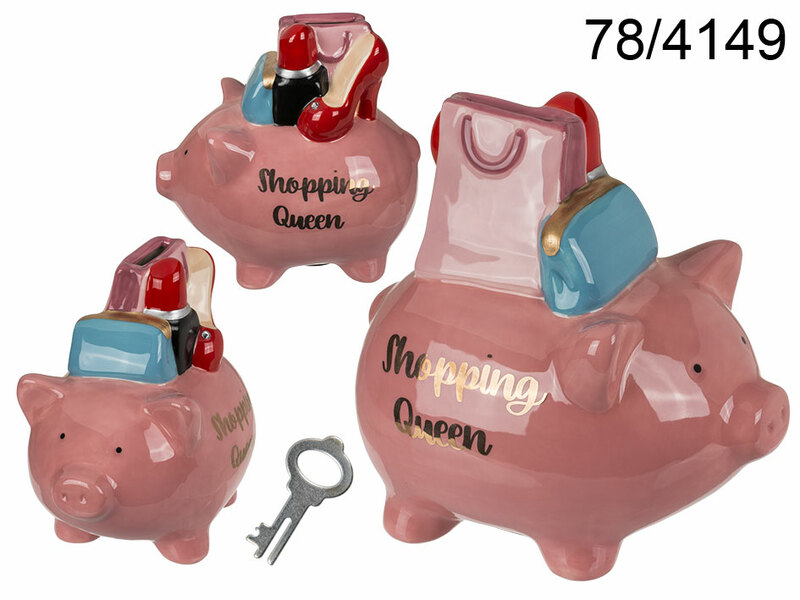 Adorable pink piggy bank that reads "Shopping Queen" - excellent item for women who love shopping. Make no mistake - the savings from this piggy will be spent on... shopping! - the piggy reads "Shopping Queen"